Three people were injured, one seriously, when a minibus taxi crashed into a house in Durban on Friday night, emergency services said. ER24 spokesperson Russel Meiring said the minibus taxi was wedged between a wall and the house off Bishopstowe road in Glenwood. 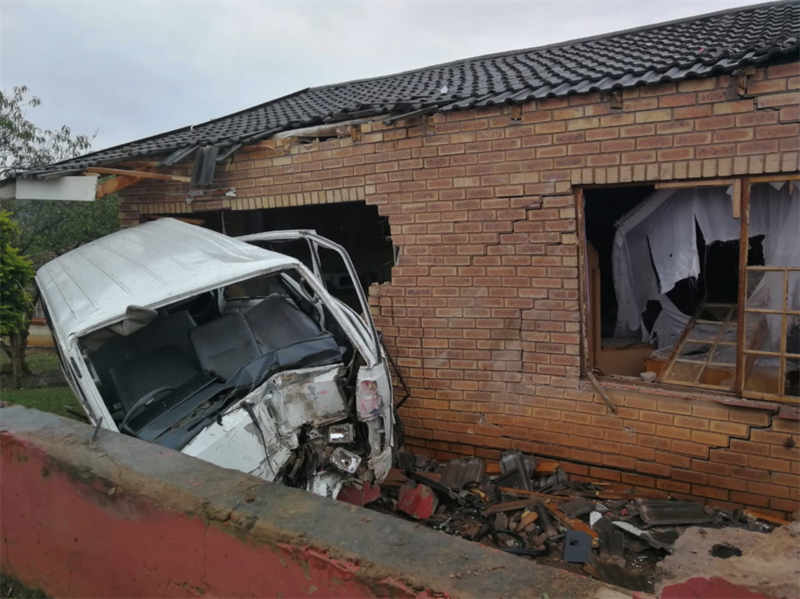 It is thought that the taxi driver may have lost control of the vehicle before it came to a crumpled stop, breaking through a house wall and window. "Paramedics assessed the patients and found that the male taxi driver had sustained serious injuries while two other men had sustained moderate injuries," said Meiring. The injured were treated on the scene and then transported to nearby hostpitals for further care. Local authorities would conduct an investigation into the circumstances of the crash.